It’s possible to collect sap sustainably from any species of maple, sap that can be processed into a valuable syrup. In many parts of Virginia, this can prove to be a viable cottage industry (or at least an interesting demonstration project). 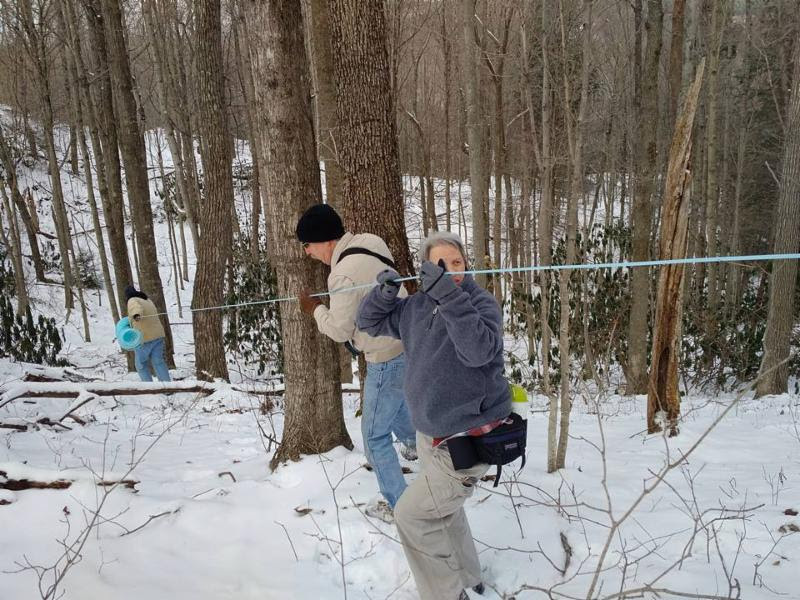 The VMN-High Knob Chapter has overseen a demo “sugar bush” on the Powell River Project Research & Education Center in Wise County for the last four winters. Chris Allgyer and Phil Meeks will discuss the process for collecting sap and making syrup, as well as its potential as an off-season forest product. Other species of trees that can yield a usable syrup will also be discussed. Phil Meeks is the Extension Agent for Agriculture & Natural Resources in Wise County and is the chapter advisor for the High Knob Chapter of VMN. Chris Allgyer is President of the VMN High Knob Chapter. He recently retired from Mountain Empire Community College where he taught mathematics for 46 years. Link for recordings of this and past webinars: VMN Continuing Education page. If you have specific technical questions, try the Zoom Support Center.